The Bedford QL was a series of trucks, manufactured by Bedford Vehicles, for use by the British Armed Forces in the Second World War. Peerless was just an U.S. importer of Max model kits of Japan. This kit is the FIRST time I’ve heard the Precise CIC Products added to their name. Max went out of business as well as Peerless years ago and Max’s molds went to a lot of different other model manufacturers for a number of years after Max’s demise. 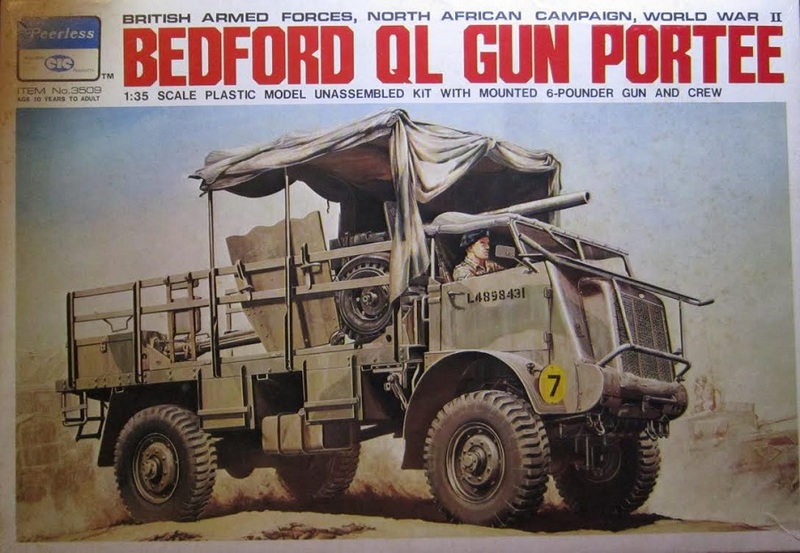 The box art shows a Bedford with the 6 pdr loaded in the rear cargo area. It is traveling over sand and leading a second Bedford behind it. There is a British tank in the dust in the distance. The Bedford is in a base of sand with green wave pattern over it. The black serial no. L4898431 is on the cab doors. A yellow disc with a black number 7 on it is attached to the left front fender. One corner of the box art says the kit is for modelers age 10 years to adult. One side panel has 3 color photos of the model made up in the same camouflage as the box art. It carries the serial no. L4692040 in white lettering on the cab doors and the yellow disc with the 7 on it on the left front fender. High on that fender is a square that is red on the top half and blue on the bottom half and has the white number 77 on it. These three photos show the front and rear of the model. The other side panel shows 4 color illustrations of box arts of other AFV kits that Peerless Max marketed. 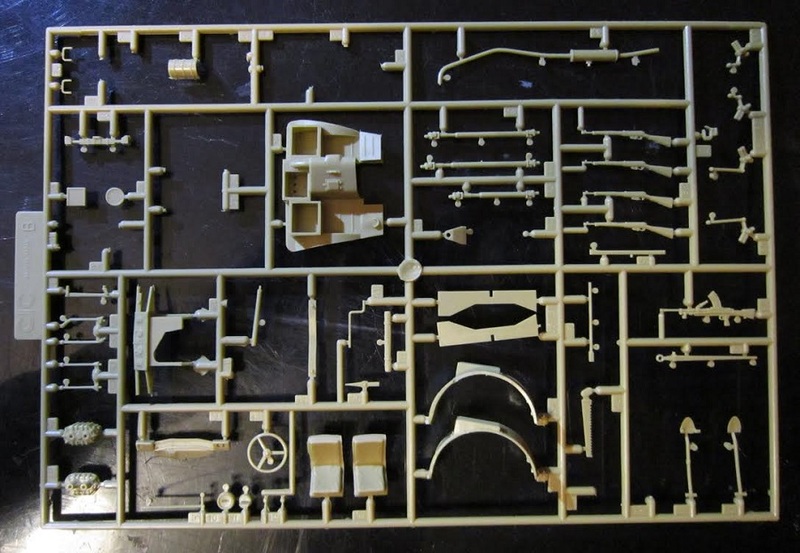 This kit contains 6 tan trees of parts in 3 stapled-shut cello bags, a clear windshield part, the decal sheet, assembly instructions and a booklet of the history of the Bedford QL. The instructions consist of a staple-bound booklet of 12 pages in 8” x 10 ½” page format. Page 1 of the instructions begins with a repeat of the box art in black and white, followed by READ BEFORE ASSEMBLY instructions and IMPORTANT WORDS OF CAUTION in English. Page 2 has a listing of the names of the parts in the kit. I really like this as it saves me identifying things for my reviews. Page 3 through 11 give a grand total of 12 assembly steps. Steps 1 to 10 are for assembly of the truck. Steps 11 and 12 are for building the 6 pdr gun and mounting the gun on board the truck. Page 12 has a 3-view for painting and marking 3 different schemes. Peerless’s address in Philadelphia, Pa is at the bottom of the page. 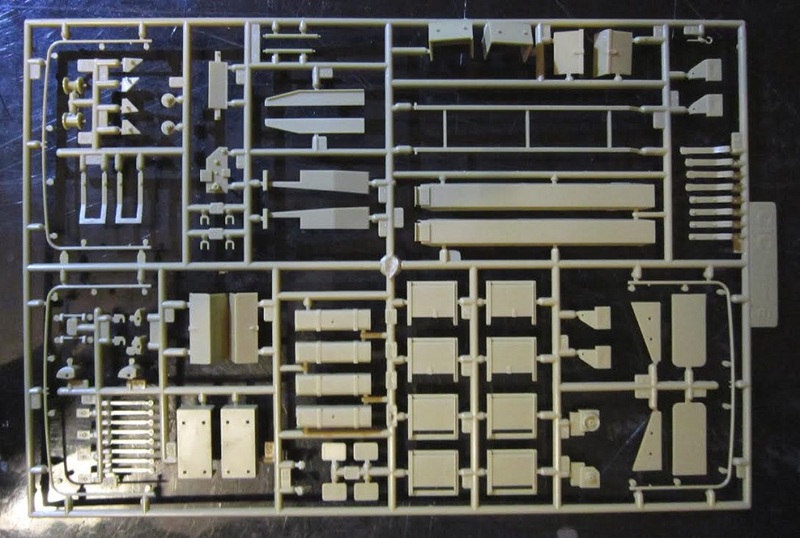 This kit contains 6 tan parts trees (in 3 stapled shut cello bags), the clear windshield part, the decal sheet, the assembly instructions and a booklet of the history of the Bedford QL truck. The assembly instructions consist of a staple-bound booklet of 12 pages in 8” x 10 ½” page format. The booklet of the history of the Bedford QL and its variants is a single sheet folded in the center to form 4 pages the same size as the assembly instructions. It has a very long history in it, which I will not bore readers with here. It also contains no less than 15 black and white wartime photos of the truck and variants. In this kit all the text is in English thankfully. Most of the Peerless-Max kits I have the text is usually all in Japanese only. The parts trees fit the tray tight in all directions. 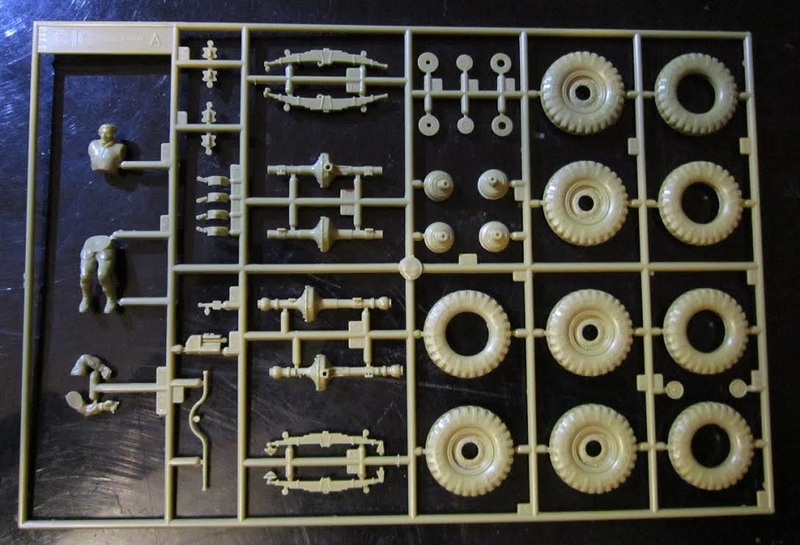 The clear windshield part and the 2 metal rods complete the parts in the kit. 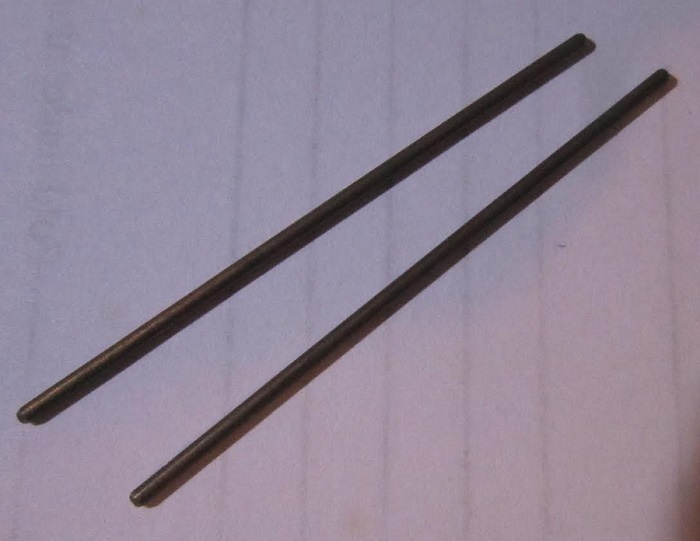 The rods are to be used inside the axles to further strengthen them. 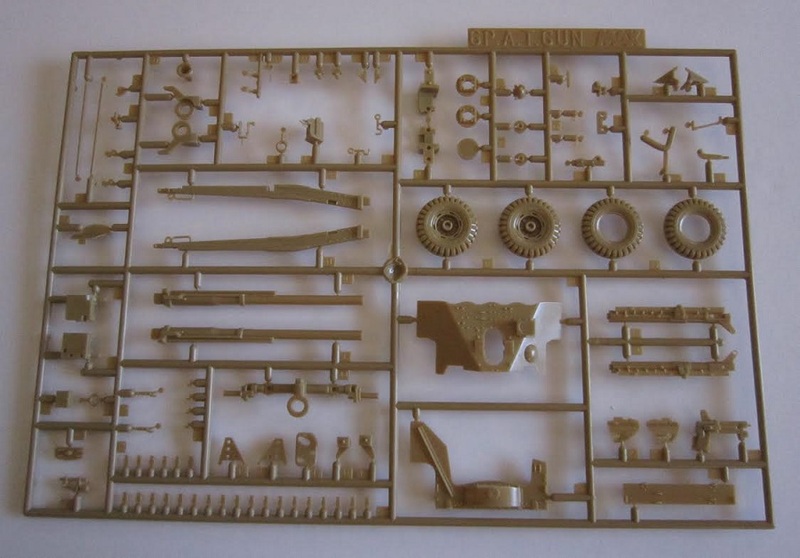 This is a highly detailed model with a lot of parts. I recommend it to advanced modelers because of its complexity and part count. Kit was courtesy of my wallet back in the 70’s. With all the different model companies that released this kit under their labels after the demise of Peerless-Max, I think it may still be found somewhere on the internet perhaps. It was originally released by Peerless-CIC as kit no. 3509 in 1974. Airfix re-released it in the same box art as kit no. 08366-1 in 1976. Italeri re-released it as kit no. 241 in a new box art in the 1980’s, Tomy also re-released it in the 1980’s as kit no. 3501 in the original box art. Revell of Germany re-released in new box art as kit no. 03030 in 1998. Finally, Italeri again re-released it in a new box art as kit no. 6474 in 2008. It may still be found somewhere for sale in one of these re-releases.